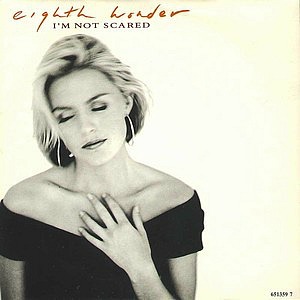 EIGHTH WONDER "I'M NOT SCARED"
Fronted by English actress and model Patsy Kensit, Eighth Wonder achieved major success in Italy and Japan in the mid eighties with several #1 singles from their debut album Brilliant Dreams. However, it wasn't until the release of the single I'm Not Scared (which featured on the band's second album Fearless) that they found success in the UK. Written by Pet Shop Boys, I'm Not Scared reached #7 in the UK and the synthpop duo's own version featured on their album Introspective. 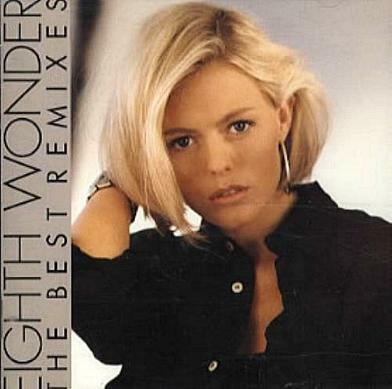 Eight Wonder's studio album Fearless reached #47 in the UK, but was much more successful in Japan where it reached #8. The album also climbed to #19 in Switzerland, #31 in Germany and #40 in Sweden. The last four singles released by the band were from this album. 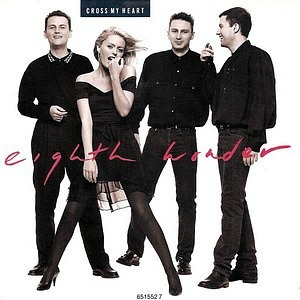 Featuring 80s production techniques by the bucket load, Cross My Heart was the second and last hit single for Eighth Wonder and reached #13 in the UK, but, ironically, failed to break into the Top 40 in Japan, peaking at #42. Ah, the summer of '88. I bought this album on cassette and remember playing this on the car stereo quite a few times while thrashing the living daylights out of my Austin Metro - teenagers, huh! I'm Not Scared was just one of the 33 hit songs on the album.